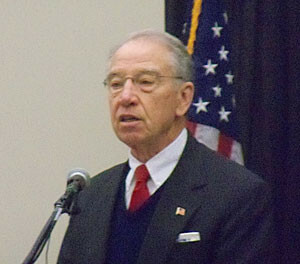 Iowa Senator Chuck Grassley is lashing out at the Environmental Protection Agency after it lowered the required amount of corn-based ethanol in the nation’s Renewable Fuel Standard on Monday. Grassley, a Republican, blasted the agency and the Obama Administration for what he says is a clear violation of federal law that can only benefit the oil industry. He says the EPA is selling biofuels short. 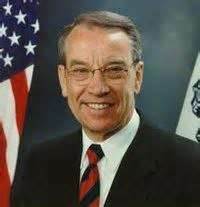 “The EPA just doesn’t appreciate that farmers and biofuel producers can generate enough renewable fuels to meet the goals set by Congress — by law,” Grassley says. “So, EPA, by cutting this back, is going against the law that Congress passed.” Iowa is the nation’s number-one ethanol producer. The EPA ignored federal law, according to Grassley, and also ignored the wishes of American consumers who have shown they like the chance to use alternative fuels. The head of the Iowa Renewable Fuels Association suggests they may sue over the EPA’s new requirements. Grassley says letting the courts make a ruling may be the next best option as he doesn’t think Congress will have the votes to override the EPA. The new standard calls for the use of just over 14-billion gallons of ethanol this year and 14-and-a-half billion next year. Congress mandated 15-billion gallons in both years.